Kindergarten Transition Day is Monday, May 13th at 8:30am. 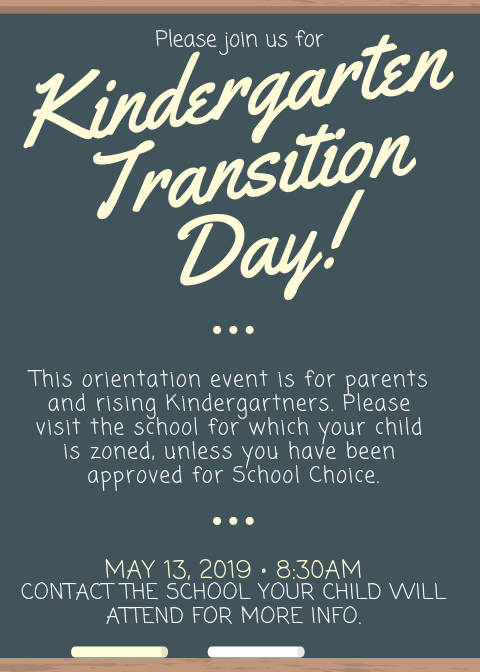 Pre-K students and their parents are invited to visit the elementary school they will attend in the 2019-2020 school year for orientation. Please contact the elementary school your child will attend for more information.